Located just about 45 minutes North West of Los Angeles, Simi Valley is undoubtedly one of the best cities in Ventura County to live in. The growth of real estate industry in the city over the past few years has led to increased demand for high-quality plumbing services. And at Highsmith & Daughters Plumbing Inc., we are glad to be one of the few companies that can offer you an exceptional plumber in Simi Valley. For over a decade now, we’ve been servicing all of Simi Valley, fixing plumbing issues for residential, commercial and industrial clients. Our services cover everything from installation, to repairs all through to maintenance. We particularly understand how difficult it is to stay in a home with clogged bathroom, leaking sewage drain pipe and/or dripping kitchen faucet. That’s why we move fast to fix the problem just in time to get you back up and running. Don’t hesitate to call us when you notice these signs in your faucet, shower or drainage system areas and need a reliable plumber in Simi Valley to help you fix them. To ensure we give clients the best service ever in the city, we have brought together a team of well trained, thoroughly vetted and licensed craftsmen to send to the job. Most of our in-house team have massive experience in the industry and are equipped with the latest plumbing technology to take on any job any time. 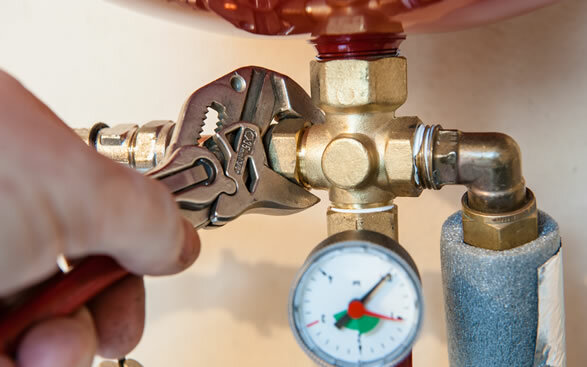 So whether you want to install new faucets, repair leaking gas lines, unclog sewage drain pipes or re-route slab leaks, you can trust us to fix it for you. When you have an emergency plumbing problem, you can always trust us to provide a speedy response once you make a call. Regardless of where in the city you are located, our team of plumbers will get on site within an hour and start working on the damaged system right away. And we quote any call-out charges on the cost of emergency repairs, hence you are guaranteed of knowing the cost up front. As a family-owned business, our aim is not just to fix your plumbing system but to know that you’re satisfied with the complete job. That’s why our professional and friendly team of plumbers are trained in not just fixing the problem, but being polite and cleaning up the job so it looks just as it was before we arrived. We will communicate and engage with you if a problem looks larger than initially thought. For expert plumbing installation, repair and maintenance in Simi Valley, call or send us an email today to get a quotation. Our friendly team of customer care is always on 24/7 to answer your calls.